We had a great week! The biggest news is that we received an AWESOME referral from the branch president, Presidente Nuñez, of the Concordia branch, the other branch that meets in our church building. It was his mom! Last Sunday he introduced us to her at church (he had already taken her two times to church with him, and she loved it). We set up an appointment with her, and went to our first appointment with our branch mission leader. It was an amazing lesson! She is so ready for the gospel. About a month ago her husband died after a little more than 50 years of marriage. It's been a little hard for her, and she absolutely loved learning about the plan of salvation. We taught her the first three lessons this week and she loved it all. Her husband didn't believe in God, and told her that it was just something that people made up in their heads. She said that she has always believed in God, but that besides his lack of belief in God, he was an amazing person, unselfish, always serving. She hadn't ever been baptized before because of her husband, but now she is ready. We set a baptismal date for her for the 29th of July, and she is super excited! She is telling everyone that she is going to be baptized the 29th. :) We are so happy for her and for her family. We also started teaching her daughter, Pte. Nuñez' only sister. She has a lot of great questions about the plan of salvation, and we hope that we can help her resolve her questions. Axxx continues to progress, slowly but surely. He is still looking for an answer. He loves everything we are teaching him, but still hasn't felt like he has received an answer. However, as he talks with us, he talk more and more every time as if God really exists. In the beginning it was all theoretical, but slowly it seems he is accepting it. We are praying that he will be touched by the Spirit and recognize his Heavenly Father speaking to him. Besides that, we spent the week teaching, finding, and doing service. We moved some more people back to their homes (from the flooding). There's a recent convert here named Hno. Cáceres, he and his wife were baptized a little less than a year ago, they're about 60 years old, and he was a truck driver his whole life, and still has a huge truck with a big bed that we used to move everything. He joked with us that when we get to Utah we can start our own moving business because we're such experts now on moving furniture, fridges, and washing machines (why are they so heavy??). Just to tell a little bit about the Cáceres couple, they are my heroes. I have never seen such strong converts to the gospel in all my life. They do not seem at all to have been baptized less than a year ago. Like another hermano from the branch said, they lived their whole lives ready to be baptized. They never miss a Sunday, they serve others all the time, the go out and visit less actives and recent converts, they take people to church, they help plan activities, and more. And it's easy to see why when you look at their family. Their children and grandchildren (that we've met) all respect and love them so much. It's easy to tell that they raised their children in as close to a gospel-centered home as you can get without the gospel. In a few months they are headed to the temple to be sealed!! I am so excited for them. They are my heroes. This week I gave a talk about the importance of member missionary work. I would invite everyone to go back and read Elder Oaks talk from last October about sharing the Restored Gospel. It is full of wonderful advice and counsel. I focused especially on the importance of the doctrine of Christ, or, in other words, Faith in Jesus Christ, Repentance, Baptism, the Gift of the Holy Ghost, and Endure to the End. It says in Preach My Gospel, "The gospel of Jesus Christ defines both your message and your purpose; that is, it provides both the 'what' and the 'why' of missionary work." If we truly understand the gospel of Jesus Christ, we understand what it is that we need to share with the world, as well as why we even do missionary work. We all know that "there is none other name given under heaven save it be this Jesus Christ...whereby man can be saved." (2 Nephi 25:20) So, if only through faith and repentance on the Lord Jesus Christ we can accomplish the very purpose we came to this earth to accomplish, we should do all in our power to help our brothers and sisters to return to the home they left with such great faith and hope. It is our greatest responsibility, our greatest privilege, and our greatest joy. May we each do all that we can to help our fellow man to come to know his Savior, Jesus Christ, Lord of All and Redeemer of the world. Me and Elder Frey with Elder Bragg (of the Seventy) and his wife! After divisions with Elder Chaname! 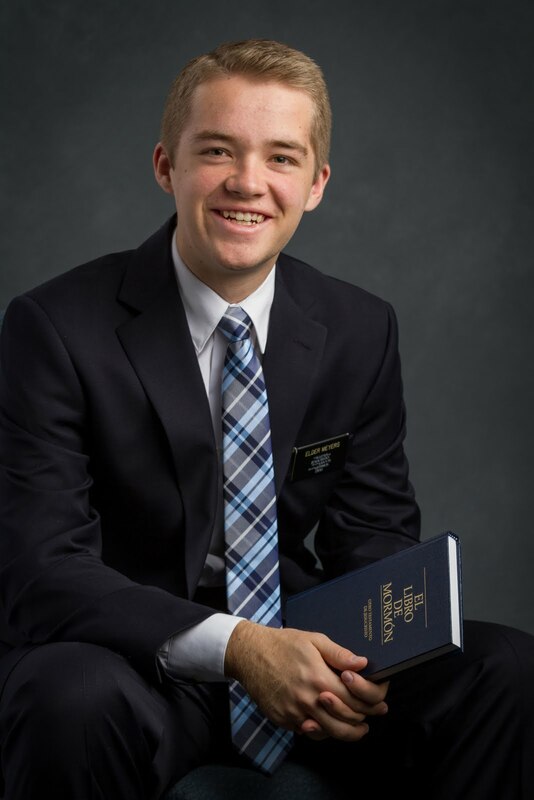 Awesome missionary, born in Peru and lives in Buenos Aires. Our moving adventures! We helped our elders quorum president take everything out of the church and move it back to his house. After the first move Hno Caceres took us in his truck to help some non member friends of his. This is us in the back of his truck.